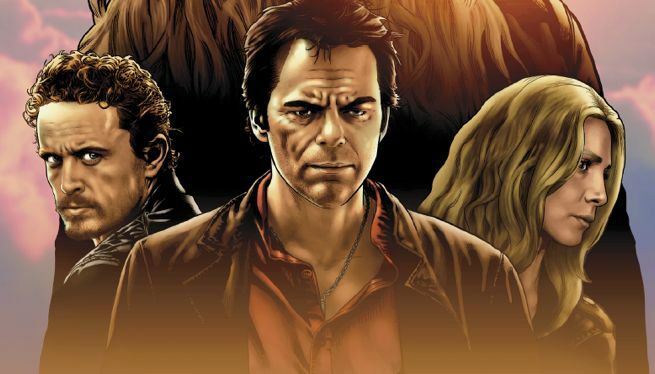 DC Entertainment and ComicBook.com are pleased to debut the fourth and final chapter of Revolution, a digital comic book series picking up the plot threads from the cult-favorite NBC TV series of the same name. The four chapters will each be debuting exclusively on ComicBook.com for one week before being made available for viewing on Revolution’s Facebook page at www.facebook.com/Revolution. Fans can also use the #RevolutionComic hashtag on Twitter to find out more information about the digital comic. Revolution writers David Reed and Ryan Parrott handled the writing duties of the digital comic’s four chapters, after breaking the story in the writers’ room along with the rest of the Revolution creative team including Kripke, O’Bannon, Paul Grellong, David Rambo, Trey Callaway, Anne Cofell Saunders, Ben Edlund, Matt Pitts and Jim Barnes. Illustrated by Angel Hernandez, each of the four separate digital chapters will also have a specially designed cover. Chapter 1 - Click Here! Chapter 2 - Click Here! Chapter 3 - Click Here! Check out the fourth and final chapter below.